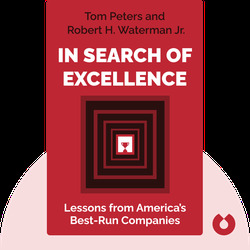 In Search of Excellence by Tom Peters and Robert H. Waterman Jr.
By Tom Peters and Robert H. Waterman Jr. 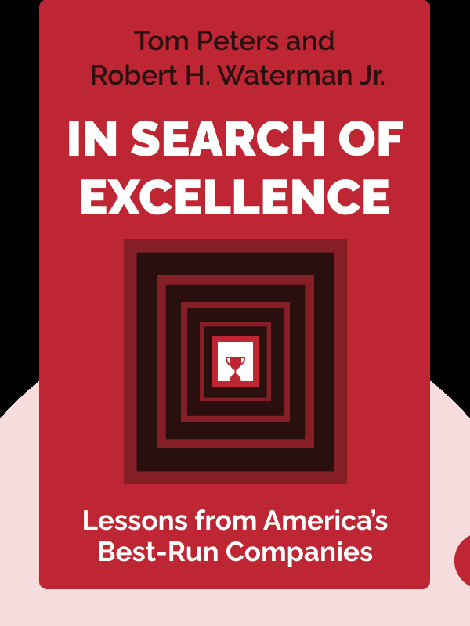 In Search of Excellence is the groundbreaking, multi-million-selling business management classic by two McKinsey & Company consultants, last re-issued in 2004. The authors conducted a study of America’s top 15 companies to deduce the core principles that unite corporate giants from Caterpillar to IBM. The Economist called Tom Peters the “über-guru of business,” and Fortune claimed, “We live in a Tom Peters world.” He writes widely about business management and is a partner at McKinsey. Robert H. Waterman Jr. is an author and business management expert who spent 21 years at McKinsey.